Investigators searching through the remains of the burned-out Sea Galley restaurant have determined the building had been broken into shortly before it burned down on Jan. 3. 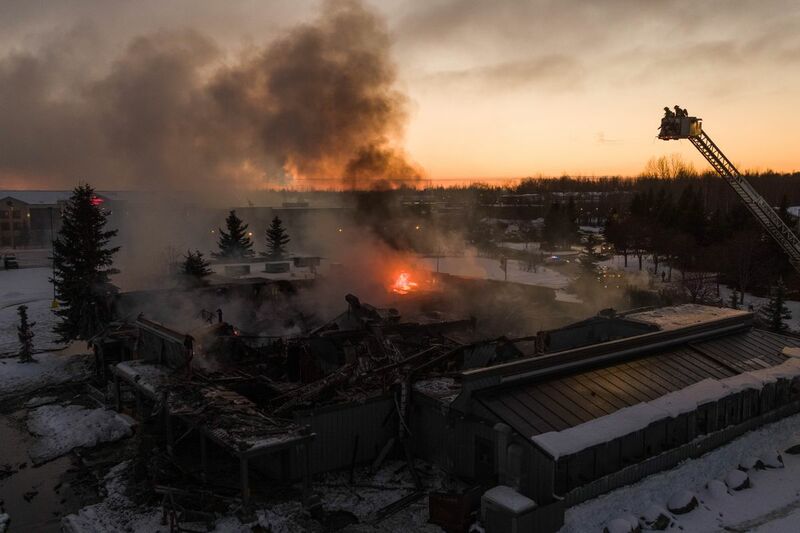 “We have found evidence that there was a break-in before the fire, and we have found evidence that vagrants were inside the building,” said Anchorage Fire Marshal Cleo Hill. Hill wouldn’t say what evidence investigators found that led them to believe someone had broken into the building, but the discovery didn’t come as a surprise considering the building’s history, she said. Anchorage police have said the shuttered restaurant on Credit Union Drive in Midtown was burglarized twice after it closed in late October. The break-in is believed to have happened “right before the fire started,” she said, but investigators haven’t determined whether the people who were inside set the fire purposely. “At some point, we’ll come up with a determination of intentional or not intentional,” Hill said. Anchorage police have said that, aside from the two burglaries, they haven’t received any calls about loitering or squatting at the former restaurant. Assistant fire chief Alex Boyd said at the scene of the fire that no one was inside when firefighters arrived early Jan. 3. The restaurant, which had been slated for demolition the week that it burned, had its utilities and fire suppression systems turned off, he said. The Anchorage Fire Department is working with the building’s owners and insurers to continue the investigation, Hill said. Fred Schroeder, the owner of the building, said he wasn’t available to speak on Thursday.